Lily Brooke, where small town charm and a hidden secret converge one fateful late autumn night. The demons of the past are determined to never be locked away again. MALB, the Mystical Alliance of Lily Brooke, consists of six childhood friends that are bound together in loyalty, friendship, and courage. Together, they all face the unleashed enchantments that are haunting the children after their discovery of the forbidden sacrificial cave, crooked trail, and mysterious treehouse. Magdalena has always known she is different from the others, but the cause has always escaped her, until now. Coming to grips with her soul purpose, she must gather courage she never knew she possessed to save her friends and family from the evil forces hiding amongst them. 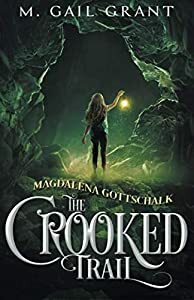 Magdalena Gottschalk: The Crooked Trail, is a middle grades to young adult epic fantasy fiction novel, that explores faith, unity, differences, belief in a higher power, magic, and teamwork. It will leave you sitting on the edge of your seat, begging to turn the page, while written for audiences of all ages. With a touch of southern charm and tradition, this novel takes you on a journey not for the faint of heart. Witches, wizards, demons, black magic, and soul searching all have their place in the quaint little town of Lily Brooke. As the Civil War rages, fifteen-year-old Thomas Beck longs to fight for his country. He's underage, but his brother, Robert, claims there's another reason he can't fight: there's no such thing as a Chinese Yankee. Assumed a slave because of his odd appearance--including his traditional Chinese queue (long braid)--Thomas soon discovers that giving battle with his regiment isn't enough to shed the Chinese label from his Yankee status. 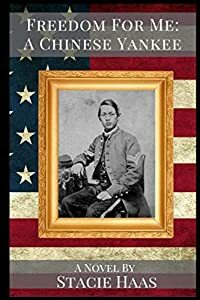 It's not until Thomas befriends a runaway slave and the war moves toward a pivotal moment in Gettysburg that he begins to understand the true meaning of freedom in America. Freedom for Me is a historical novel based on the life of a real Chinese Yankee. For ages 10 and up. 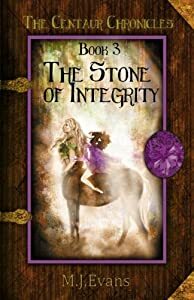 The Stone of Integrity is the winner of the 2018 Silver Medal from the Purple Dragonfly Awards, the 2018 Silver Medal from the Readers' Favorite Awards and the 2019 Bronze medal from the Feathered Quill awards. 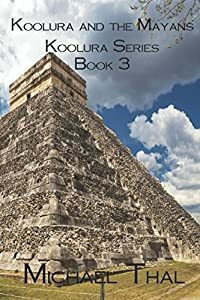 The Stone of Integrity is the third book of the four-book series titled: The Centaur Chronicles. 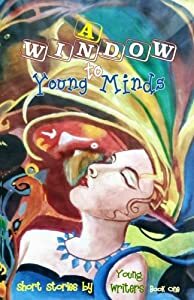 This fantasy is written for middle-grade and young adult readers who love to immerse themselves in a wonderful adventure set in a faraway time and place. Visit the land of Crystonia in your imagination and travel along with Carling as she follows her assignment to become the queen of a land filled with Centaurs, Cyclops, Ogres, Fairies, Witches, and Wizards. Our future depends on stories . As the world advances, literature has the ability to ground us—in our humanness, our imaginations, and our enlightenment. Fueled by the need to interpret the past, to explore the present, and to imagine the future, each generation shapes the world of books. In order to preserve this, we must have a new generation willing to share their stories. The annual Lune Spark Short Story Contest was started in May 2017 with the vision of supporting young writers. Benny, fifteen, is solitary by circumstance more than choice: he counts each move to a new town as "a life." He's on Life Number Seven. His last! He plans to run away from his paranoid mother, who's been on the run since the disappearance of his father when he was three. Benny has no memory of it, except for weird dreams of a firestorm and a hideous red-eyed dragon. After a fight with his mother, Benny packs his bags. Boom! The house explodes, catapulting Benny into a world he never imagined existed. 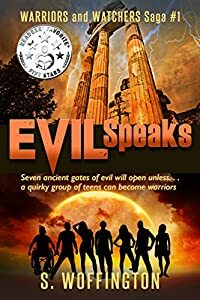 The trail leads him to a gated Neoclassical building in the woods and to six teens he vaguely remembers: Kami is deaf, Amir is blind, Zuma is overweight, Layla is gorgeous but lazy, Chaz is in a wheelchair and Raj is as angry as the purple dagger-shaped birthmark running down the side of her face. These unlikely heroes share a common thread: Benny lost his father and they lost their mothers on the same day. The only clue to the mystery is Benny's grandfather, Domenico H. Adez, a mysterious and dangerous man. “Neil has created a story that extends beyond Christmas and brings magic to every single day. This book will be a much-loved part of my Christmas library from now on.” 5 Stars! - Susan Sewell for Readers’ Favorite. "Heartwarming and inspirational! This story appeals to everyone. A Christmas classic for the whole family." - T.J. Anderson, Mrs. Calgary. Limited Time Holiday Offer - Enjoy the Magic at a 50% Discount! Set in the present day where Christmas deliveries are handled through the world’s railways and model trains, elves are more technically advanced than people and where magic and science coexist in perfect harmony. Doc Christmas tells the tale of Doctor Archibald Stevens’ journey from reclusive hermit to Christmas savior and all the fantastic discoveries he makes along the way. Doc Christmas is a story about a man who has lost his joy for his family, for Christmas, and for most everything else in his life. The only thing that matters to him since his wife passed away is his work. His unfettered focus has made him into a world-renowned specialist in rare and infectious diseases. That fact has become very important to Nick, who desperately needs the Doc’s help in curing an epidemic that is raging through the elven population of the North Pole. While Doc may have the medical knowledge to help the elves, finding out that elves are tiny – about 5/8 of an inch tall – may present an insurmountable challenge. 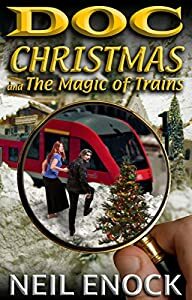 Unless Nick and the Doc’s family can help him rekindle his beliefs in the magic of Christmas -and- in the magic of trains… the two things that will be required if he’s going to get to the right size to save Christmas. 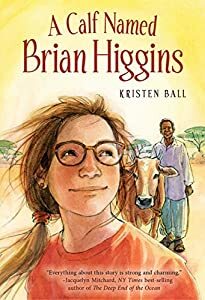 Recommended for readers 7 - 13 and up!, (but kids 4 and up will be asking you to read it to them again and again)! WINNER of the Reader Views Literary Awards, 2016-2017. WINNER of the Purple Dragonfly Awards, 2017. WINNER of the Pinnacle Awards, 2017. WINNER of the Silver Medal for Reader's Favorite Awards, 2017. 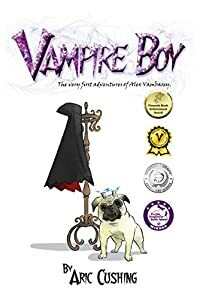 When Alex Vambarey attends his first year at the Carpathian Academy, he has no idea that there are other creatures besides vampires. He's never met a gargoyle, or a pixie for that matter. Of course he's read about them -- in the Vampedia -- but in real life? No way. But now everyone's trying to figure out the Magus riddle and win the school prize. Even the Brownies are all befuddled! (new paragraph) Well, maybe it's natural. It's his first term, and there are all sorts of things that don't make any sense. Like all the janitors collecting dirt. That's just plain weird. No, there was definitely something bigger going on. Way bigger. And if he was right, the secret was somewhere in the Night Gallery. The secret about Carpathia, and the secret about himself! All is not well in the world of The Calendar House. There’s a rogue sweep on the loose, and they’re not just stealing trinkets from the houses they enter, they’re stealing the chimneys, too! To add insult to injury, Little Joe Raman from the corner shop on Dotty’s beloved Wyvern Road has gone missing and nobody knows why. It appears Dotty has a lot to contend with. The Council of Sweeps are looking for answers but it seems there aren’t any to be found. Has Joe been abducted by thieves, or is there another reason for his disappearance? And can Dotty stop the Chimney Thief, before all the portals into the world of the ordinary folk have been sealed – forever. Award-winning children’s fantasy fiction from #1 bestselling children's author, Emma Warner-Reed.The DOTTY Series: “Secret Garden meets Diagon Alley. Fabulous!” A. Vere, Harrogate. Follow Dotty as she is strives to unravel the mysteries of the Calendar House: a place filled with secrets, danger and a just a little bit of sweeps’ magic! DOTTY and the Chimney Thief is the second book in the multi-award winning DOTTY Series. 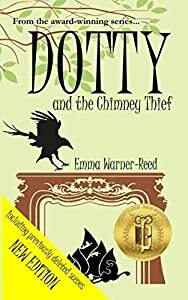 Since its publication in 2016, DOTTY and the Chimney Thief has received significant acclaim, including the Gold Literary Classics Award for juvenile mystery thriller, multiple five star ratings on Amazon and the official Seals of Approval from Literary Classics and three coveted five star Reader's Favorites reviews (so it's quite good :o) ).